All Dressed Up & No Where To Go! I'll be honest. My New Years Eve plans usually consist of me in pajamas, playing games with the kids, baking and watching various year in review from my couch. 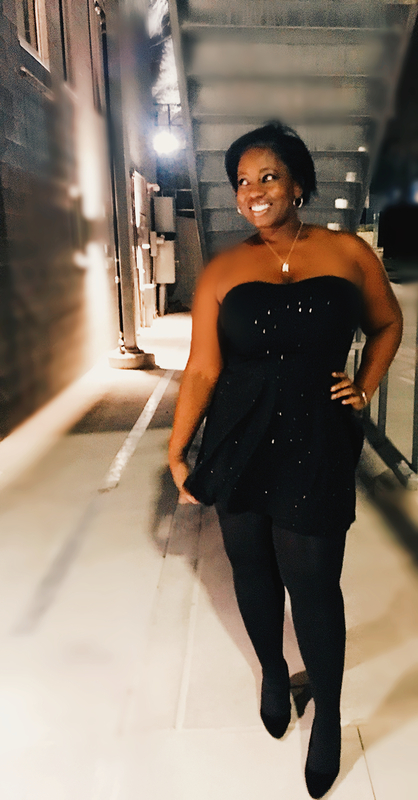 Just in case this year is different, I partnered with Swap.com to get this dress! Little Black (glitter) Party Dress! Cute, right?! Black and glittery, you really just can't go wrong. Swamp.com is an online consignment shop. It has millions of items - literally. Some of the clothes are new, a ton of them brand names and toys too. It has become my new go to find affordable holiday items for the whole family. My last shopping haul included Hollister jeans, Loft skirt, Play Station games and Addidas leggings. All name brands, all for under $50 plus free shipping. Don't just take my word for it. Head to Swap.com and see for yourself. It is the perfect place to find yourself a party dress or clothes for a family photo shoot. 25HOLIDAYCHEER for 25% off your purchase (for new shoppers) and my code expires 12/31/2017 - so get to shopping! *Disclosure: I was compensated for my review. All thoughts and opinions are 100% mine.